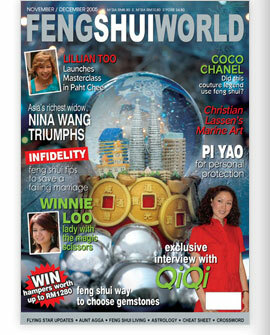 Cover picture shows a snow globe of the beautiful city of Kuala Lumpur. Glass and crystal spheres such as these bring peaceful energy into the home. Page 34 : Hi, I’m QiQi! 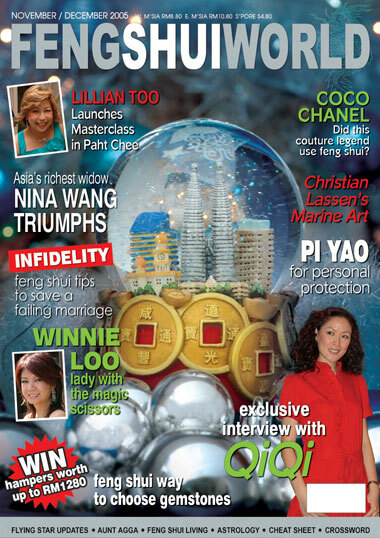 Page 65 : Did Coco Chanel Practise Feng Shui? Page 12 : Time to Celebrate! 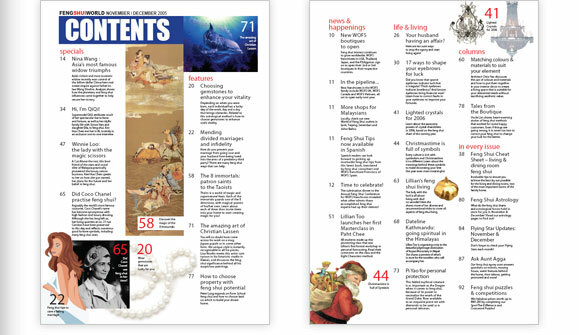 Page 26 : Your Husband Having an Affair?